Top draw: SP Setia’s show houses in Bukit Indah, seen here, were a big hit among buyers. 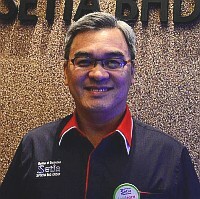 JOHOR BARU: SP Setia Bhd sees southern Johor as the company's fixed deposit in view of the development and progress taking place in Iskandar Malaysia. President and chief executive officer Tan Sri Liew Kee Sin said the economic growth corridor was moving in the right direction and would drive growth of the property market in Johor. “We made the right decision to come to Johor Baru in 1997 although at that time it was not on the radar of many Klang Valley-based developers,'' he told StarBiz in an interview recently. Liew: Iskandar Malaysia is moving in the right direction and will drive growth in Johor’s property market. Liew, who was born and bred in Johor, said he had a vision that the state would be the next growth centre in the country after Klang Valley and he was right. He said Johor was now the company's main revenue earner, contributing about RM1bil in sales for three consecutive years 2009, 2010 and 2011. “We are confident of repeating the same figure this year as the take-up rate for our properties here has been good since day one,'' said Liew. The company was fortunate as all of its projects in southern Johor were strategically located within the flagship development zones of Iskandar Malaysia. Liew said Johor's close proximity with Singapore was another added advantage as Johor Baru was always the first choice among Singaporeans and expatriates working in the republic looking for residential properties as their second or weekend homes. Its on-going projects in southern Johor are Bukit Indah with only 5% land left for development, Setia Eco Gardens and Setia Business Park (383.64ha and 50% still available for future development). Others are new developments - Setia Business Park II (107.24ha), Setia Tropika (299.46ha and 40%), Setia Indah (359.36ha and 10%) and Setia Eco Cascadia (110.07ha and 70%). “The remaining landbank will keep us busy in Iskandar Malaysia in the next 10 to 15 years with a gross development value of RM8bil,'' he said. Liew said the company would continue looking for more land in Iskandar Malaysia and outside Johor Baru, adding that there were still large tracts of land available in Johor for township development. Almost a decade after the company set foot in Johor Baru, the Government under the then Prime Minister Tun Abdullah Ahmad Badawi launched Iskandar Malaysia on Nov 4, 2006. SP Setia was the first developer to start a housing scheme in Nusajaya at that time Bukit Indah - long before Nusajaya was declared as one of the five flagship development zones in Iskandar Malaysia. Other flagship development zones in the 2,217 sq km Iskandar Malaysia are the JB City Centre, Eastern Gate Development Zone, Western Gate Development Zone and Senai-Kulai. “The company's early years in Johor Baru were the toughest time because Malaysia in 1997 and 1998 was not spared from the Asian financial crisis,'' said Liew. At one time, Liew even pondered about whether the company had made the right decision expanding to Johor but he was determined to stay put. Liew said unlike house buyers in the Klang Valley, those in Johor were quite sceptical at that time and a majority of them would only buy houses from Johor-based developers. 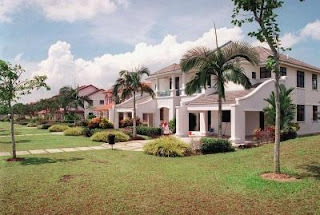 Initially it was hard to convince potential buyers in Johor Baru as for many years until the 1990s, most of them only knew three reputable Johor-based developers. “These three developers have been around long before those from outside Johor started coming in and have a long list of loyal customers,'' said Liew. However, through perseverance, never-give-up attitude and an innovative selling campaign, SP Setia had been able to win them over with its maiden project called Bukit Indah. “Despite the 1997-98 recession, Bukit Indah was selling well and it was a launching pad for more of our projects in Johor Baru,'' he added. Liew said apart from offering competitive prices for its Bukit Indah houses at that time, the company set itself apart from the other Johor Baru-based developers. He said instead of building a few units of show houses at a certain precinct of development as was usually done by other developers here, the company decided to build a show village in Bukit Indah showcasing several types of houses. The idea was a big hit among buyers as they had a better idea of what were being offered at the different precincts in the housing estate. “We were also the first developer to build a central town park in Johor Baru at our Bukit Indah project and it has set a precedent not only in Johor but in the country too,'' said Liew. Since then, the state government has decided that developers in Johor were required to provide a central green lung area or park for house buyers in their projects. SP Setia has allocated 8.09ha from the 610.67ha of Bukit Indah for use as a park. The park which was opened 16 years ago is undergoing a RM15mil upgrading work.